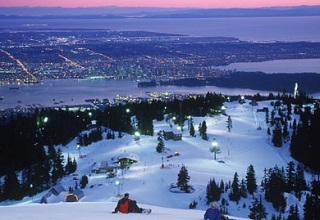 This stunning city on Canada’s West Coast makes it an ideal winter destination with its nearby mountains and temperate climate. Three resorts sit perched in the city’s North Shore Mountains, making a day of skiing or snowboarding only a 20- or 30-minute drive from downtown. Meanwhile in the city streets, snow rarely falls during the winter, and the relatively mild temperatures make it easy to stroll around checking out all the shops, restaurants, museums and galleries. Once summer comes around, the mountains are still a prime destination, covered in mountain biking and hiking trails. The city shorelines are dotted with beaches and the views never get old. The 1000 acres of dense forest at Stanley park (see image on left) is completely unique to a city centre location and the trails throughout the park allow families to easily roam the ‘jungle’ of trees. There are three HI hostels in Vancouver to suit everybody’s needs. 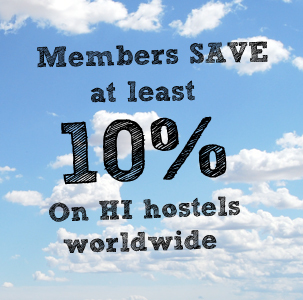 All three hostels come with dorms and private rooms, free wifi and tons of activities. Right on Granville Street, the city’s entertainment district, this hostel is for those who do not intend to go to sleep too early. You are close to lots of bars and restaurants, and for daytime fun you are right in the middle of shopping and attractions. It is close to the Skytrain, which links downtown to the suburbs and the airport. Get free breakfast here. In the pretty residential neighbourhood of the West End, HI-Vancouver Downtown is close to English Bay and its beaches, colourful Davie Street and a hop over False Creek to Granville Island. The kitchen is spacious and there are also a bunch of common areas, including a nice patio. You get free breakfast here too. Right in Jericho Beach Park in Kitsilano, HI-Vancouver Jericho Beach is for laid-back beach-lovers. It is a quieter spot, within a short stroll of the Pacific Ocean. Lots of parking, fun activities and an on-site, licensed café are on offer here. It is an easy bus ride to downtown and to University of British Colmbia’s Museum of Anthropology or a wander from Pacific Spirit Regional Park. Head to hihostels.com to figure out which Vancouver hostel is right for you. Legendary Whistler is a 1.5-hour drive up the Sea to Sky Highway from Vancouver and home to the huge Whistler/Blackcomb resort where you will find some of the world’s best skiing and riding in the winter and some of the best mountain biking in the summer. The brand new HI-Whistler opened in mid-2010, with room for 180 guests. From this modern hostel you will get mountain views, a bunch of sun decks, an on-site café, ski and bike storage and that new carpet smell.